With the Canadian resale housing market booming, and indications that the Bank of Canada will increase interest rates on June 1st, there’s been a lot of attention lately regarding the various options available for mortgage loans. Whether you’re applying for a new mortgage, or thinking about refinancing before the predicted rate increases hit, it’s important that you know your options so you can make an informed decision. When you choose a mortgage, you have to decide whether you want the interest rate to be fixed, variable or adjustable. There’s no one right choice. Each of these three options offers various advantages. Your task is to choose the one that’s right for your specific needs. A fixed rate mortgage is locked-in for the entire term of the mortgage. When making your mortgage choice, be sure to evaluate the impact of an increasing interest rate on your monthly payment. Want to know more about mortgage options and which one is right for you? Contact me to learn more. When you’re ready to finance, I can also help you connect with an experienced lender to assist you. Remember, this could be your best time to explore your options, before any anticipated rate increases kick in. Wynford, Toronto - Announcing a price reduction on 705-18 Concorde place, a 1,245 sq. ft., 4 bath, 2 bdrm apartment. Now MLS® $364,900 - Priced to Sell!!!. Yonge/Sheppard, North York - Rare Corner Unit Penthouse With Unobstructed Views! This Luxury Menkes Suite Boasts 9' Ceilings, Split Bedroom Layout For Privacy, Large Open Balcony, And Direct Subway Access In A Building With Great Amenities And An Unparalleled Yonge/Sheppard Location! Just A Stones Throw Away From Shopping. Restaurants, Parks And Entertainment! This Suite Is In Pristine Condition! Just Move In And Enjoy! Extras: Stainless Steel (Fridge,Stove,B/I Dw)Washer/Dryer, Window Coverings,All Elf's,Cabinetry And Frosted Glass Shelving In Bath.Indoor Pool,Jacuzzi,Sauna,Exercise Room,Billiards,Party Room,Visitor Parking,24Hr.Concierge,Parking And Locker Incl.! Despite a slow start to the year, the Canadian market has certainly bounced back since the low of last January. Resale housing in particular is again surging forward, and in May reached new heights. According to the Canadian Real Estate Association (CREA), strengthening consumer confidence, low interest rates, and improved affordability are all drawing buyers to the housing market. In fact, CREA reports that Canada’s resale housing market activity has returned to pre-recession levels. Actual home sales via the Multiple Listing Service® (MLS®) of Canadian real estate boards totaled almost 50,000 units in May 2009. The national MLS® residential average sale price in May 2009 neared $320,000, and reached the highest monthly level on record. In just four short months, the national MLS® residential average price recovered 16.4% from January’s low. According to CREA, the supply of new listings coming onto the MLS® continued to decelerate in May, to just over 65,000 units, the lowest level since December 2005. This tightening supply will keep upward pressure on home values. In the meantime, Canadian consumers are starting to feel positive about the real estate market again. According to statistics compiled by the Conference Board of Canada, national consumer confidence improved for the second consecutive quarter in the second quarter of 2009, and the balance of sentiment about making major purchases, such as a home, continues to improve. Interestingly, new construction doesn’t reflect the current demand. Canada Mortgage and Housing Corporation (CMHC) reports that new housing starts in 2009 have fallen sharply from the record pace of recent years. The annual rate of new residential construction was 128,400 units in May, a marked decline from over 200,000 housing starts in each of the last seven consecutive years. Housing starts are expected to improve throughout 2009 and over the next several years to gradually become more closely aligned to demographic demand, which is currently estimated at about 175,000 units per year. In the meantime, there will be less inventory for homebuyers to choose from. So, what’s the bottom line? Increased affordability due to historically low interest rates, government housing stimulus programs and rising consumer confidence have all contributed to the demand for homes. Meanwhile, supply is dwindling, due to a decreasing number of resale homes coming on the market, strong sales activity, and a marked decrease in new home construction. Continued demand and reducing supply will place more upward pressure on Canadian house prices. Now that you know the highlights of the national picture, want to know more about what’s happening in your own community? Contact me, your local Coldwell Banker® real estate representative and get the benefit of some expert advice. As a home seller, you may be thinking that a ‘fixer-upper’ property would appeal to most first time buyers trying to put their first step on the property ladder. However, according to the results of a recent Coldwell Banker® survey on the preferences of first-time buyers, you’d better think again! Coldwell Banker recently conducted a survey of real estate brokers and sales professionals across Canada and the U.S. to determine the preferences of first time buyers. The survey findings clearly show that First Time Buyers want a ‘turn key’ property where they can simply move in and start to enjoy living in their new home. These individuals have typically put the majority of their financial power into the down payment. They don’t have large reserves of cash available to start putting more money back into the property on major upgrades and renovations. In addition, first time buyers are typically just starting out in their career and --especially in the case of single buyers -- have little free time available for house repairs. Bottom line? The less there is to do on your property in the way of repairs or updates, the more appealing it’s going to be to those buyers. In most cases, it’s well worth the investment to do the necessary repairs and finishing before putting your home on the market. Of course, if you’d like to discuss how any planned repair, upgrade or renovation may affect the potential resale value of your home, your first step should be contacting me, your local Coldwell Banker® sales representative. They’re just a phone call away and always ready to talk real estate! It’s already July and another school year is approaching. Many Canadians with a son or daughter who will be going away to college this fall are already thinking about all the expenses this will involve. There may not be much you can do about the high cost of tuition, books or travel, but there’s one major college expense that you may be able to turn to your advantage. Rather than paying rent at a student residence for three or four years, why not consider buying a property and turning that expense into a source of income? If you buy a property near the campus, you could rent rooms to other students and your child could potentially live there rent free. With homes for sale at very attractive prices, and financing rates at near historic lows, it’s a great time to invest in real estate. If you buy smart, you may be able to recover the cost of your child’s housing expense. You might even be able to generate enough positive revenue to offset some of the other expenses of a college education. Best of all, if house prices go higher in a few years – and industry forecasts say that they will – you could potentially realize a profit on the equity you have built up in the property. If you’re interested in exploring this option, l can counsel you on what to look for and what to avoid. Through my connections in the financial sector, I can even help you pre-qualify for a mortgage, so you’ll know in advance exactly how much house you can afford. And when you’re ready to start looking, I can personally show you properties near at hand, or if you’re looking for a property out of town, put you in touch with an experienced real estate professional who’ll show you suitable properties in your target area. Why not take advantage of this great market and use it to help offset the high cost of a college education? Call your local Coldwell Banker representative and starting talking real estate. You’ll be glad you called me first! In today’s competitive real estate market, more and more sellers are looking to target the increasingly important consumer group of the first-time buyer. The first step in reaching this target group is in knowing who this customer is, and then understanding their specialized wants and needs. · As home prices rose, it resulted in young people staying at home with their parents longer in order to save the necessary money for a down payment. Not surprisingly then, the age of first time buyers has risen in recent years. · There’s been a major shift in first time buyers in terms of marital status. Ten years ago, the vast majority were young married couples starting out their life together, with a hope for a growing family. Today, while couples still represent the majority, we’re also seeing a far greater percentage of young professionals, especially single women, entering the home buying market. These career-oriented people no longer want to wait for marriage before taking their first step on the property ladder. They want to build equity and achieve the dream of home ownership without waiting for the right life partner to come along. This group is a major force in low upkeep urban housing that is seen in the condo market. · Canada enjoys a very strong positive in-migration population, and these individuals will continue to fuel the first time buyer market. One trend that we’re now starting to see is an increase in the percentage of first time buyers in the market. With the escalating prices in recent years, some of these individuals were previously ‘locked out’ of the housing market. Now with adjusting prices, historically low interest rates, and help from government initiatives such as the recent increase in the Home Buyers Plan withdrawal plan from $20,000 to $25,000, have resulted in some of the most affordable housing seen in most markets in years. This is bringing a new buyer back into the market, as they are now seeing homeownership come back within their reach. Want to know more about the first-time buyers market, and the special incentives that are now available to attract and win these buyers? Contact me your local Coldwell Banker® real estate representative to learn more. As your local Coldwell Banker® real estate professional can tell you, there’s a lot that’s good about today’s housing market. And it’s all because of the three cornerstones known in the industry as I.I.P. – Inventory, Interest rates and Price. In most markets across Canada, these three fundamentals are creating some of the most affordable housing seen in many years. The inventory of listings is strong, giving buyers a lot to choose from. That increases the likelihood of finding the home that’s just right for you and your family. The Bank of Canada reduced interest rates again in March, and mortgage rates are now sitting at near historic lows. At the same time, home prices have adjusted to more affordable levels in most major markets across Canada. Those three fundamentals of I.I.P. are having an impact in almost every local market. Without question, there will be many great opportunities that are ready and waiting for a savvy home buyer to take advantage of right now. In February, CREA reported an 8.6% increase in transactions over the previous month, the first monthly increase in national sales activity since September 2008. February activity also surpassed levels reported in November and December of 2008. This is a clear indication that buyers are seeing value and are coming back into the market. Consumers need to focus on these strong fundamentals and gain confidence in housing. Some buyers still think they can time the market and are ‘sitting on the fence’ waiting for exactly the right time. This can be a costly mistake. While you’re sitting back with a ‘wait and see’ approach, the right house at the right price and the right terms may be snapped up by another buyer who recognizes the opportunity. Reading isolated news headlines is not a great way to gain balanced information about the housing market. Such news stories often focus on very short-term events. They don’t tell the ‘big picture’ of how the vast majority of Canadian homeowners have achieved solid appreciation in value within just the last few years. To make an informed decision, you need to know a great deal more information that’s specific to your target neighbourhood. Your local Coldwell Banker sales representative can tell you the whole story about your community, including such issues as historical appreciation in value, current inventory of listings, future development plans and time on market. Why not talk to me, and get a balanced perspective on some of the opportunities in today’s market. You have nothing to lose, and it just may be the most important call you’ll ever make! Magazine Featured Loft - King West - Reduced $300k!!! • 2 bath, 2 bdrm apartment - MLS® $1,188,888 - REDUCED 300K!!! • 1,306 sq. 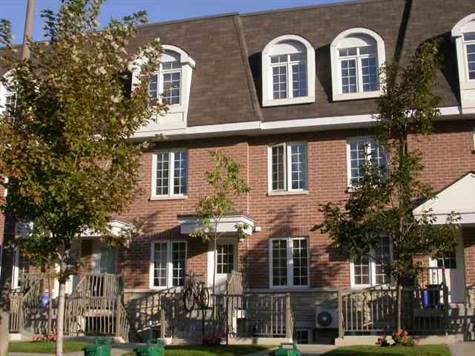 ft., 2 bath, 3 bdrm townhouse - MLS® $319,900 - PRICE REDUCED!!! 3 Large Bedrooms, 2 bathroms and 2 balconies. Home for Sale on The Bridal Path! Lawrence/Leslie, Toronto - Magnificent 6400 Sf Of Lauxurious Custome Home On A Lavish Property. Prestige Location. Most Spectacular Workmanship & Absolute Top Quality Materials. 1500Sf Indoor Saltwater Pool, Whirlpool & Spa With Cast Stone Walls And Columns. *Elevator, Stunning Marble Floors And Arstic Paint On Walls & Domed Skylite. Extras: Sub-Zero Fridge.Wolf Range W/Grill And Wolf Oven.Miele Dw. Security Sys. W/Cameras,Complete Home Theatre Sys., Walnut Hardwood Flrs.Solid Walnut Doors.Heated Fl. In Bsmt/Part Of Main Flr.Outdoor Wood-Burning Fireplace.Automatic Steel Gates. Canada’s ‘baby boomer’ generation is the most affluent group ever seen in Canada. The ‘boomers’ have either already inherited, or are poised to inherit, their parents’ wealth. The result is a transfer of assets and an increase in discretionary income on a scope never before seen in this country. And many of these newly affluent people are deciding to invest in a second property – either a vacation home such as a cottage or ski chalet, or an investment property to appreciate in value, or generate rental income. Unlike your principal residence, any appreciation in value realized on the sale of a second property is considered taxable income. Therefore, the name you use to purchase the property (for example, whether it’s put in your spouse’s name) could have major tax implications at time of sale. Similarly, any revenue generated by an income property is also taxable. The good news is that most expenses incurred in the operation and maintenance of the property can be written off against income earned. Your insurance coverage and costs may also be affected by how you use the property. Make sure your insurance broker knows all the facts, so you won’t be caught in a situation where a future claim is denied due to using the property off season or for commercial purposes. Resale values for vacation properties can vary dramatically depending upon the community you choose and the services and features of the property. For example, a year-round road access cottage will generally appreciate at a higher rate than a water access cottage. Unlike other more volatile investments, real estate has traditionally been a sound long term investment for Canadians, even in times of economic downturn. Better still, it’s also one of very few investments that you can actually enjoy while it increases in value. However, when it comes to second properties, you need to be prepared before you start if you want to avoid surprises down the road. It’s a good idea to consult your tax advisor before you buy to develop an ownership strategy and tax plan that makes the best sense for your situation. As your local Coldwell Banker real estate professional I will be glad to tell you more about the ‘ins-and-outs’ of buying a second property. Why not call today to find out more? 416- 495- 2208 or Visit my website at www.epsteinrealestate.com for additional contact information. DON’T fall in love with the first house or neighbourhood you see. That grand colonial with the picturesque view may win your heart at first glance, but you need to keep an open mind to make sure you find the right fit for all your needs. At the end of your search, it may turn out that the riverfront ranch that’s closer for your commute is a better bet all-around. DON’T buy beyond what you can afford. It’s easy to fall into that all-you-can-eat attitude, especially when it comes to your first home purchase. You "want it all" when it comes to size, amenities, location, etc. But remember that your eyes may have a larger appetite than your wallet. Make sure the down payment, closing costs, monthly expenses and taxes are truly within your income and savings range before you sign an offer. DON’T treat your home the way you treat your stock portfolio. It’s unrealistic and unwise to expect your housing investment to appreciate as quickly as you’d hope for your high-risk bonds. Buying for lifestyle, and remembering that real estate is a great long-term investment, will help you look at home purchasing and ownership in the right context. DON’T jump into a confusing mortgage. Be sure to read carefully through every aspect of the proposed agreements to fully understand your end of the bargain. For instance, an attractive rate now may be difficult to carry if rates change during the term of your mortgage. Arm yourself with information and don’t be afraid to ask questions. DON’T underestimate the value of your local Coldwell Banker real estate professional. While being a savvy buyer and doing your homework will help on the road to homeownership, a local expert with years of negotiating experience is invaluable when it comes to scouting out the perfect home – and closing the deal. For most Canadians, buying a home is the most significant investment of their lives. And although real estate sales in 2008 are continuing strong with prices still on the rise, your local Coldwell Banker® sales professional will tell you that today’s market still presents many genuine real estate opportunities for homebuyers. Housing inventory is moving up in most major centres across the country, leading to a more balanced market. Historical data demonstrates that purchasing a home has proven a sound long-term financial investment. However, homebuyers – especially first-time buyers -- are often understandably anxious when it comes time to making what could be the largest purchase in their life. Coldwell Banker Real Estate LLC has come up with some simple "do” and “don’t" lists to make the process easier for everyone dreaming of homeownership. DO utilize free online tools to arm you with as much knowledge as possible. For example, the Home Price Comparison Index available at http://www.coldwellbanker.com offers buyers a way to compare average housing costs in over 400 markets across North America. DO access and closely review your credit score. A sound financial track record and solid credit score can help lock in a loan and lower interest rates. Check your records in advance to catch any errors ahead of time, and to better understand how lenders may perceive you. DO explore mortgage pre-approval. Getting this early green light will help others involved with your purchase that you are serious about home ownership – and well-qualified. DO line up your "all-star" team of professionals before game day. A team of experienced professionals will be key to making the home buying process simple and seamless. Start by interviewing and selecting a sales representative who you "connect" with. Your local Coldwell Banker® sales professional can help you identify suitable lawyers, mortgage lenders, home inspectors and others who play a role in the process. DO anticipate your future needs and buy for lifestyle. Try to anticipate how long you’ll live in your next home and plan for major lifestyle changes when possible. What may make a perfect starter home for a couple might not work as well when children come into the picture. DO hone in on your housing priorities. Your ideal home may have a porch, a pool and five full baths. But before you start looking, make sure to separate your "must-haves" from your "nice to haves," so you know where you can compromise to meet your budget. Wondering about the “Don’t” list? Stay tuned for my next column, or better yet, contact me at jepstein@terrequity.com or by phone at 416 495 2208.